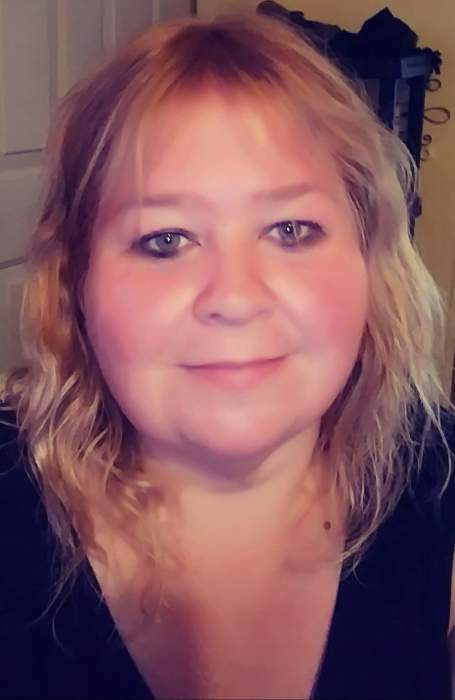 Helen Marie Harper, 49 of Four Oaks passed away at WakeMed Hospital on Saturday, April 6, 2019. A funeral service will be held on Friday, April 12, 2019 at 2;00 pm at West & Dunn Funeral Home Chapel in Benson. Rev. Bobby Caudle will be officiating the service. Interment will follow in the Lakeside Memorial Gardens Cemetery in Angier, NC. Ms. Harper's survivors include her sons; Jason Thornton of Angier, Matthew Pruitt of the home, sisters; Dianne Parrish of Benson, Doris Harper of Benson, nieces; Leslie Adcox of Louisburg, Debbie Matthews of Four Oaks, nephew; Tommy Matthews of Angier. Ms. Harper is preceded in death by parents; Edward and Vivian Harper, brother; Charles Hughes.